Waving your smartphone to board an airplane has practically become an everyday event, but if you want to buy a cup of coffee before the flight you might want to have cash or a credit card handy. The momentum of mobile payments is actually slowing down rather than surging ahead, according to a recent study from ABI research. Perhaps there will be better luck next year, when mobile payments will take off, ABI says. How close are we to using our phones to pay at stores? And one reason--as Google NFC team members made clear at the Google I/O conference earlier this month--is that Android Gingerbread can supply third-party APIs to Near Field Communications (NFC) capabilities, but does not support NFC APIs for card emulation, including mobile payments. In other words, Gingerbread can't act as a true credit card because it can't actually send information to a terminal. Rather, when the chip comes within the radius of the terminal, it sends out a signal and provides payment details. Thus it is passive, and powered by a card reader. Even the next release of Android, codenamed "Ice Cream Sandwich"--unveiled at Google I/O and likely to launch at the end of this year--will not support NFC APIs for mobile payments. However, this is apparently not deterring Apple or RIM from including NFC technology in future iPhones or BlackBerries. Microsoft will also likely add NFC to Windows Phone 7. For now, only Sprint's Nexus S 4G smartphone is compatible with Google Wallet. NFC technology has become almost commonplace in many parts of the world, and it had been expected that the embedded payments system would catch on this year. 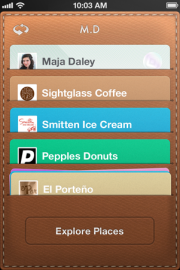 Square's Card Case is like a virtual wallet with 'credit cards' for stores you frequent. Last November Google Chief Executive Eric Schmidt showed an Android-powered mobile phone at the Web 2.0 conference in San Francisco, and suggested that it could replace a credit card. But even if you build it, there is the question of whether consumers will trust it. Security and privacy remain key issues. 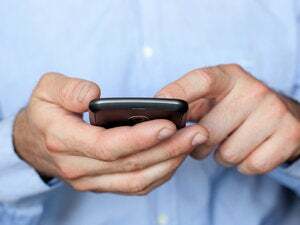 According to a recent survey from MasterCard, 63 percent of respondents would be comfortable using their phones to make payments, but only 37 percent of were 35 or older. Thus the younger users, who are likely more comfortable with smartphones, are the ones more likely to use their phone instead of a credit card. But more telling is that nearly 62 percent said they need confirmation that their personal information would be safe in order to be comfortable making a transaction. This underscores the fact that trust and privacy remain paramount factors in changing payment behaviors. Of course businesses, too, will want to feel secure. There's been other buzz around mobile payments this week. Square released an app called Card Case, which basically can transform a smartphone into a credit card. It's different from NFC technology in that it isn't really a credit card system, but a tab system. Card Case allows customers to save their credit card information in the app, and then "start a tab" when visiting participating merchants. As NFC typically is aimed at contactless payments--which usually are for purchases of under $25 that don't require a signature--the benefits of the system are limited to certain retailers. While this will be ideal for grabbing a cup of coffee before boarding a plane, it probably wouldn't let you buy the plane ticket.